Hey! 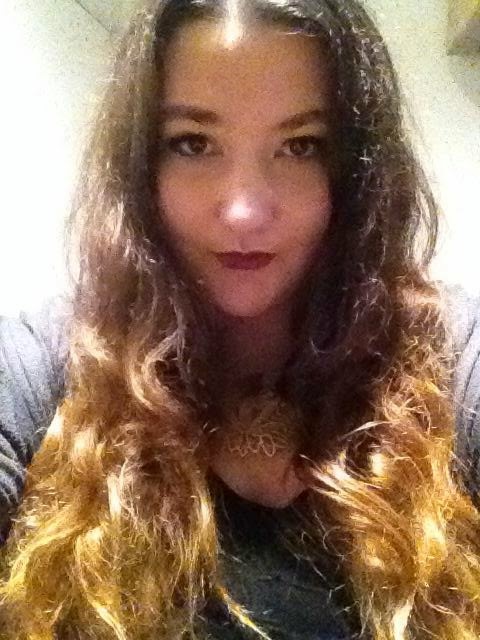 So, here is my face. I was having a good makeup day and an average hair day. I love winter, I love coats, hot chocolates and dark lipstick. 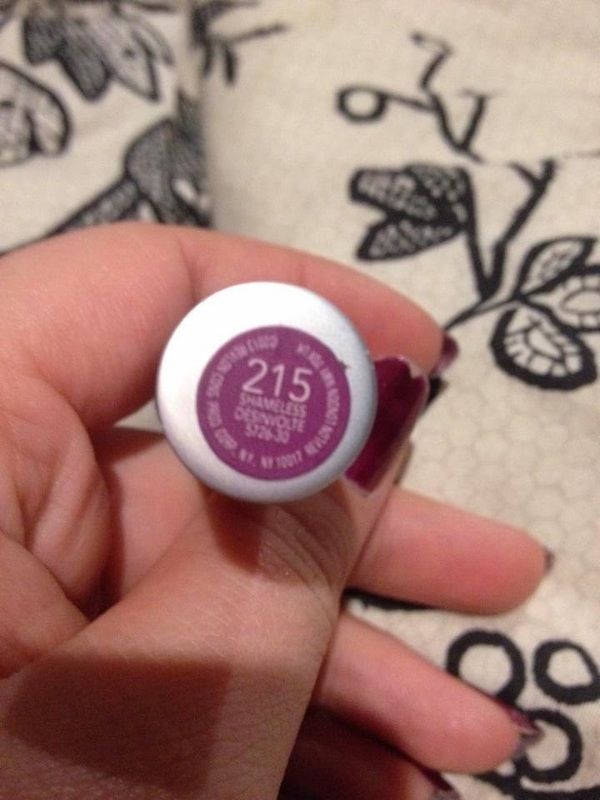 At the moment I've been going around buying every kind of purple tone or crimson red, and every shade in between lipstick I can get my hands on. 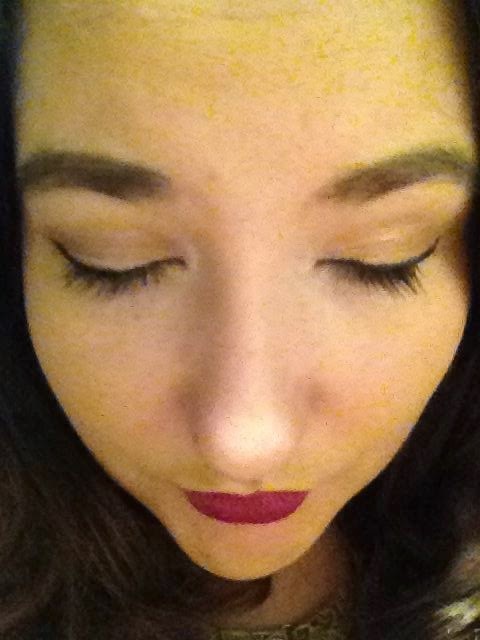 Today, I was sporting defined brows, pale face (I don't tan), double winged liner, and some purple, berry lips. 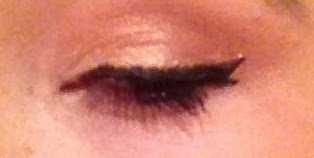 Double winged liner is one of my favourite looks, and its possibly my 'go to'. Its feminine and with the slight twist on the normal winged eye, its just the pop of detail I like. I love this product so much, I've been re-purchasing it for approx 4 years now. I might do a full review on it another time. 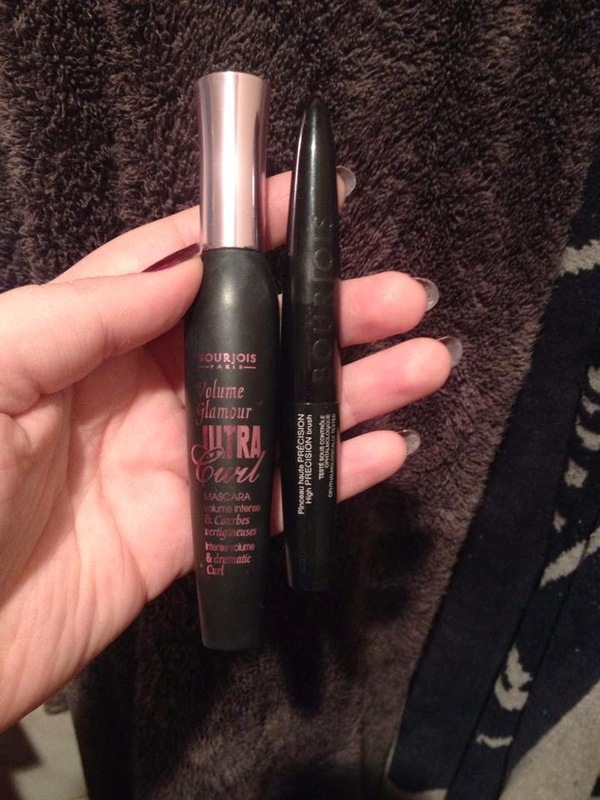 For my lashes I used another Burjois product this one is the Bourjois Paris: Volume Glamour Ultra Curl, as far as mascaras go, I've used better, but this product is really good for my lower lash line, it doesn't get clumpy and gross like others do. I use this every day and its perfect for full natural looking lashes. 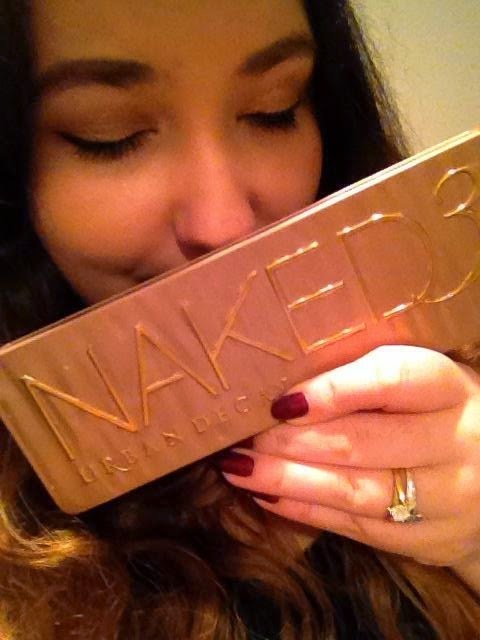 For the colour on my eyes today, I used the Urban Decay Naked 3 Pallet. Its gorgeous, I went for a gold, neutral, pinky look, something soft and not too "focus stealing" as I went for the bold lip. 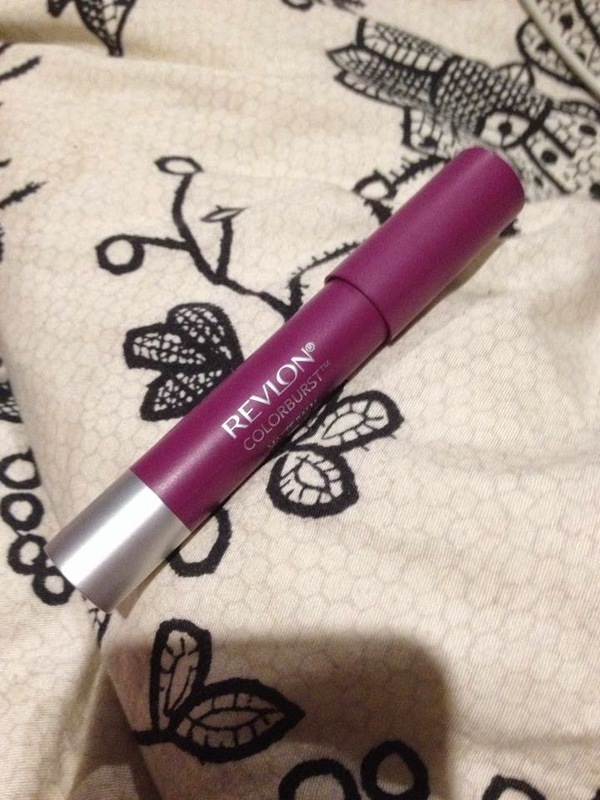 There is nothing I can say that is bad about this product, well done Revlon. 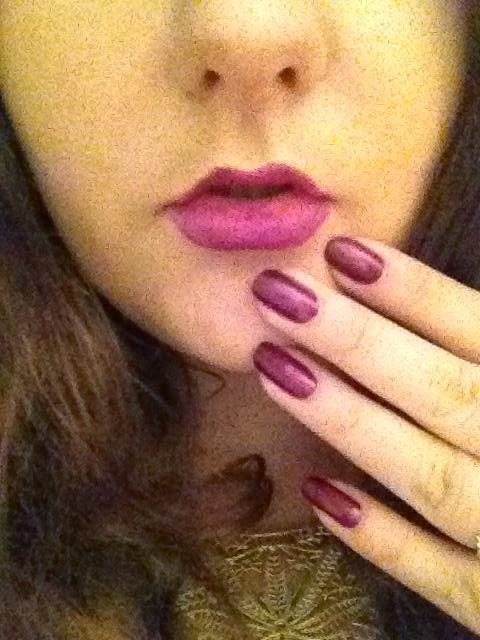 This is the Revlon Colourburst: Matt Balm in the shade 215 - Shameless. It is a great texture, full colour, it lasts me the whole day with minimum touch ups needed, it stays on through lunch all the way to dinner without going grainy like some lip products do. It is smooth but not 'greasy'. This is one of my statement winter colours. These are my natural nail, they're not fake. 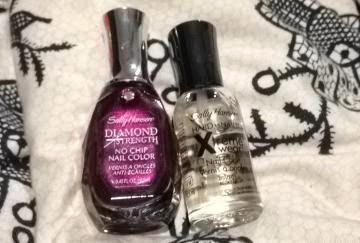 The colour that I'm wearing on them today is the Sally Hanson: Diamond Strength, No Chip Nail Colour. in the shade 460 - Save The Date. On top of this I have a top coat, also Sally Hanson. 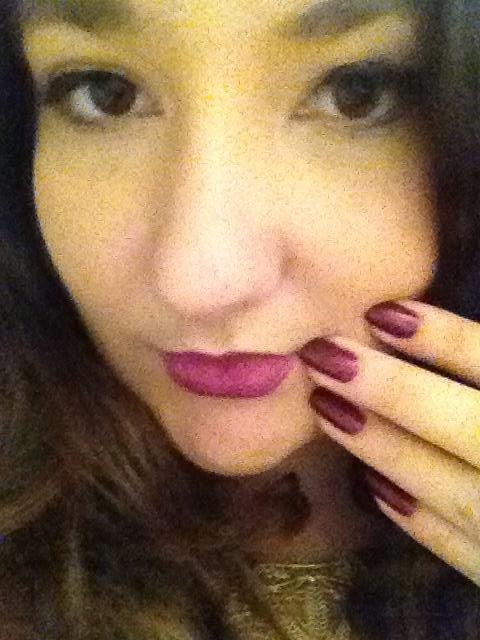 It is the: Sally Hanson: Hard as Nails, Xtreme wear nail colour. in the shade 100 - Invisible. Close up of it all on my face! Don't you just love good make-up days?